Sander van Doorn is one the most essential and popular electronic dance music DJ/music producer today! Sander’s started DJ’ing at the age of sixteen when his brother’s real Groovebox caught his attention. He was amazed and inspired by the fact that he can create music. 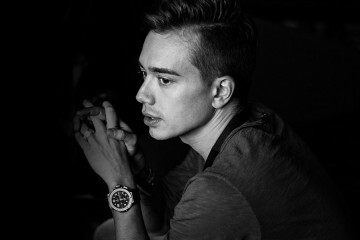 Sander has produced many music but does DJ’ing to create exposure for his productions. Today in 2015, Sander has performed in so many countries, festivals and released several records himself. We managed to catch up with him during Together Festival 2015 in Bangkok, Thailand. Concertkaki: Hello Sander! Welcome to Bangkok, it is a pleasure to meet you! Sander van Doorn: Hello! Thanks! It is a pleasure meeting you too! 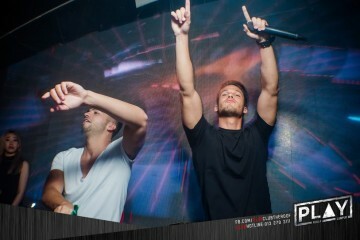 Concertkaki: Well, you know they said that if we are talking about Sander van Doorn, we must be talking about his music. What can you tell us about your music? Sander van Doorn: It is actually quite in a middle. I’ve picked out a’lot of inspirations after last yea. I’ve done a’lot of collaborations that is coming up, solo’s releases are also coming up. For example one of my recent release, Ori Tali Ma that is collaborated with Firebeatz and Julian Jordan, and another track Phoenix by R3HaB, it is a little more EDM-ish. I have also a new collaborations coming up which is more into House so I find myself in a very comfortable position where I can go into every single direction and I’m definitely gonna make use of that fact. Concertkaki: One of your latest track Ori Tali Ma, has cracked the Beatport Top 10 just a week ago, Congratulations. Can you tell us how do you get inspired by making this track that is claimed to be a huge festival hit right now! 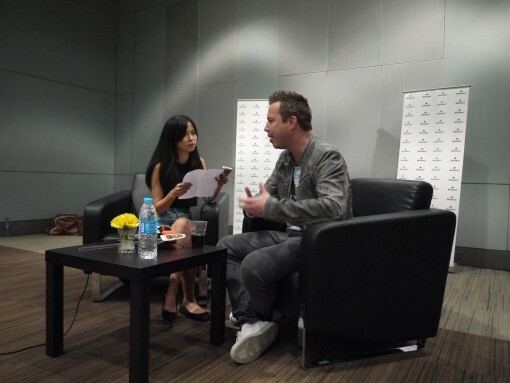 Sander van Doorn: I was like working on some techno beats and I felt like it could use a really nice African sound to it. I have some music already from Salif Keita who is like the voice of Africa. He is from Mali himself, he makes a’lot of African music combined with a’lot of Latin America influences and has this track called Madan. So when I heard that track, I really felt like I could use that vocals on my track! Concertkaki: So it was really catchy right for you? Sander van Doorn: Yeah exactly! We contacted the record company and Salif Keita himself, he was really ok with me for doing that track and so yeah, we continued making a track out of it. Concertkaki: That’s cool. What is the future like for your very own record, Doorn Records? Sander van Doorn: It is really bright. I’ve got so many great tracks ready to be release at Doorn Records. It needs to be original, it needs to be unique, it needs to be diversed so some tracks are a little bit more towards EDM and some tracks are more into House and Progressive or Techno but they are all very unique. Honestly, I do not know what will happen, but I’m in this big production run and I’ve been producing tracks after tracks right now. There are so many tracks coming out this year, I’ve already produced three tracks and we’re only in May, so I think there is gonna be another four or five new tracks from me as well for the next couple of months. Concertkaki: So one final question, you have mentioned before that you like listening to Radiohead a lot, have you ever thought of a collaboration with Thom Yorke? Sander van Doorn: Oh my god that would be awesome! I love Thom Yorke. It’s funny because every single day I’m searching for music and I’m always searching towards their style. The kind off moody sound and chords, I’m actually working on a new tracks and a solo record, it is gonna be a really slow record but it really has that feel as well. Concertkaki: You meant like a Radiohead touch to it? Sander van Doorn: Yeah! I really like their sound and feel. Concertkaki: Maybe one day you should come up with a remix of Creep by Radiohead. Sander van Doorn: (Laughs) Oh that would be awesome! You just gave me a good idea actually!